Your Certified Professional Home Inspector. My name is Kevin Frizzell. Having been a Firefighter for over 10 years, I have had extensive training on building construction, especially when it comes to safety. I have responded to numerous house fires and have seen first hand what can happen when systems in the home fail from neglect, poor workmanship / DIY, or normal wear and tear. Let me inspect your current or new home and I will not only check for the standard defects, I will also check for the most common safety defects that could cause a fire or create a hazard to your family and pets. I am so committed to your safety, that I will come to your home up to two times per year and change the batteries in your smoke detector, FREE! ~ Full color report with lots of pictures and/or videos to help you understand what we checked and the conditions we found. ~ ZIP file with all pictures and videos (200+), even the ones not used in the report. ~ Complementary smoke detector battery replacement, up to two times per calendar year. ~ PDF copy of "The Safe Home Book"
~ "We'll Buy Your Home Back Guarantee"
We use drones for the roof and crawlspace so you can see what we see. 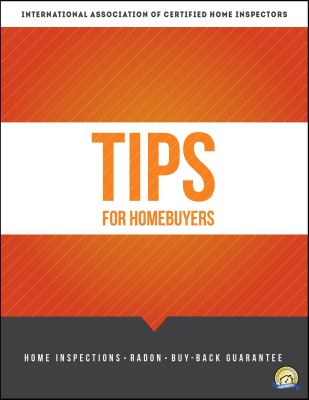 What every home buyer in SC should know. 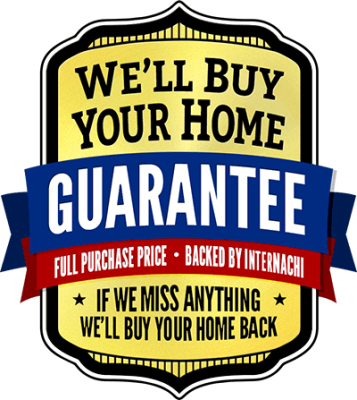 Watch this online video ad about InterNACHI's "We'll Buy Your Home Back" Guarantee. provided by the International Association of Certified Home Inspectors (InterNACHI). REA's - Watch the video below regarding the Buy Back Guarantee and how YOU benefit from this program.